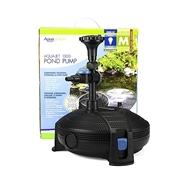 Aquascape AquaJet Pumps are ideal for powering small to medium fountain displays in your pond or water garden. 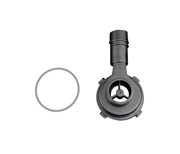 The AquaJet includes three fountain heads and an integrated diverter valve. 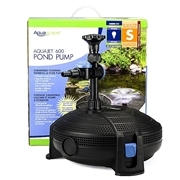 Large pump pre-filter cage prevents pump clogging and reduces maintenance. Energy-efficient design save you money in power bills.